Are you looking for a way to update your backyard and do not know what to do? A great idea for a big backyard is to building a natural swimming pool. This will be a bit different than a pond as more work is needed for the construction. 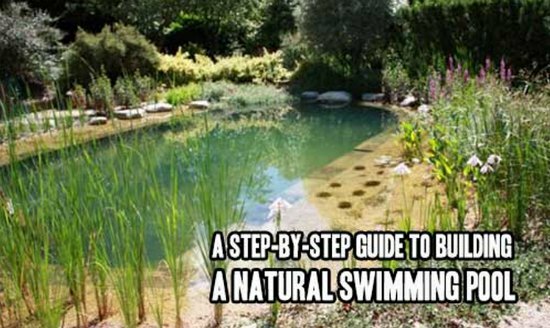 Building a natural swimming pool is not super expensive and does not require chlorine. You will not need to decontaminate yourself like you would if you were using a public pool. If this sounds better than the alternatives you have available, then this may be a great DIY project. There is a lot of planning that is needed when building a natural swimming pool on your property. There is an assortment of decisions to make like the size of the pool and where it will be located. Digging is also a task that is required. This can easily be done by hand or by using excavating equipment.